Up until about two weeks ago, the origin of this sketch was a complete mystery to me. It entered my possession over a year ago while scouring a local flea market for Disney treasures. The vendor that presented it to me was someone I looked forward to seeing on my weekly visits. For him, I was a returning customer, and to thank me he included this sketch among a group of purchased Disney figurines at no additional charge. I was instantly impressed with the fine detail and artistry of this sketch, and had a feeling that an actual Disney artist may have brought it to life. A year later, I would soon find out that this drawing was just one part of a story filled with discovery. After the sketch was brought home, I immediately started to "Google" the artist's name found on the lower right-hand corner. The challenge for me, however, was trying to figure out the correct spelling. Even after a first glance, it appeared to me that the artist's name was Harry Hoth. I looked, and looked, and found nothing. Perhaps he wasn't a Disney artist, and was someone local who simply had a talent at sketching cartoon scenes? I must admit that I may have given up too quickly, and the sketch was soon buried in a drawer containing various Disney related articles. 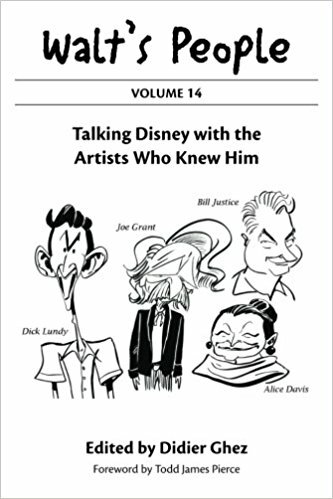 We now fast forward one year (approximately one month ago from this article's posting to be exact) to a phone call that I had with Disney artist and friend, Ron Dias. 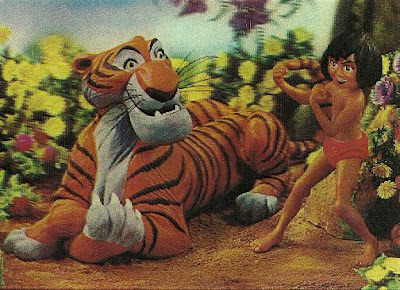 Our conversation centered around work Ron was doing for Disney right around the release of The Jungle Book in 1967. 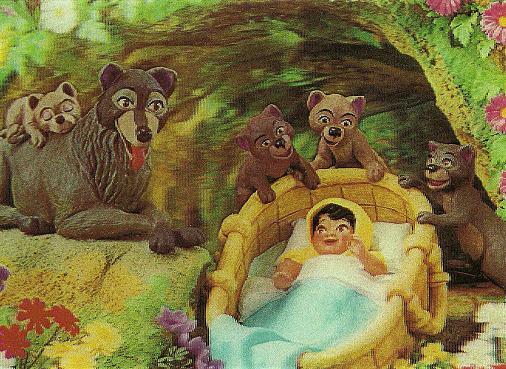 I love listening to Ron's experiences with animation and art, and this story in particular immediately sent a spark through my brain; a spark that was trying to connect with some memory that I just couldn't put my finger on. Now, when Ron was describing these postcards to me, I did not have the images above in my possession; with the exception of one! 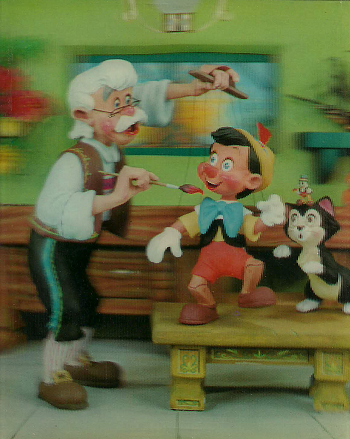 The image directly above of Geppetto's workshop is a scan of the actual hologram postcard that I had discovered and purchased at the very same flea market. 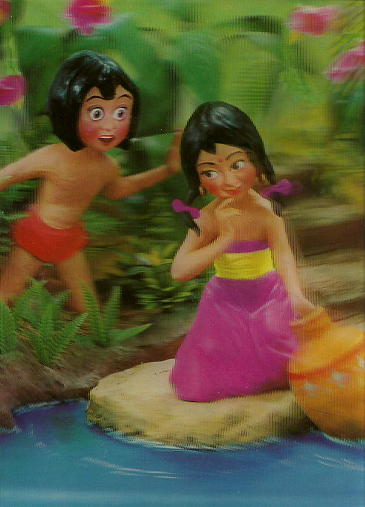 When I bought this postcard, I was not familiar with Ron nor the history behind the postcard's creation. The postcard came with a nice little plastic frame and has been on display among my Disney collection for some time now. 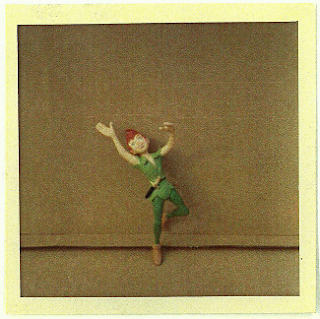 When I told Ron that I had a hologram postcard similar to one that he worked on (especially a scene from Pinocchio), he became very excited and requested a color copy of it. With all of this said, it made for a lovely little story come full circle, however, there was one more piece to the puzzle. As I listened to Ron on the phone, the mention of Harry Holt's name triggered the little spark in my brain that I noted earlier. Why did that name seem so familiar? Along with Ron sharing his experiences working with Holt, he also mentioned that Holt personalized sketches for Walt Disney World guests in the late 1980s. That was it! 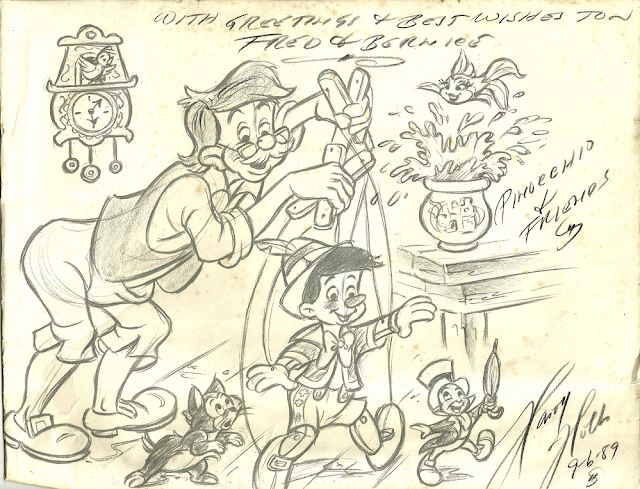 That was when I realized that the sketch that I had buried away was an actual Harry Holt drawing from Walt Disney World in 1989. I had been misspelling his name the whole time. I was not only tickled about the sketch's origin, but also because Ron had worked with Holt to create a postcard that I had also obtained at the very same flea market. It's truly a small world after all! 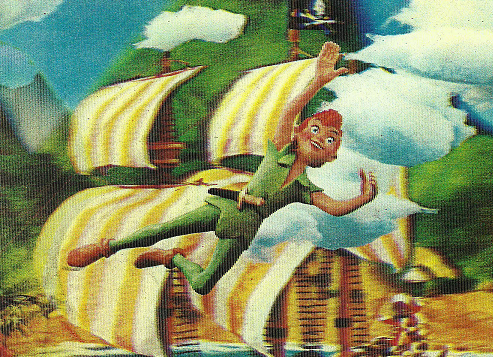 So, who was Harry Holt and how did he become affiliated with Walt Disney? 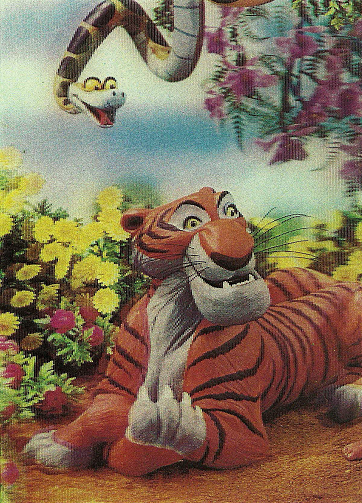 To learn more, I highly recommend hunting down the March/April 1989 release of Storyboard magazine. It contains images (on the front cover too) and a full interview with Harry Holt by David Lesjak. 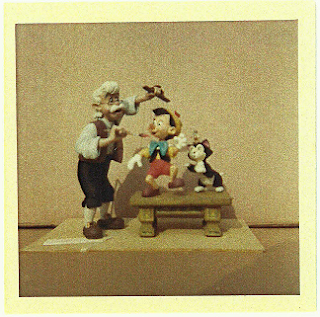 In the interview, Holt explains his early experiences at Hyperion and his contributions to Disney's finest animated classics, such as: Snow White and Pinocchio. 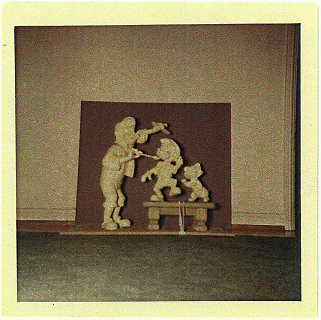 Their conversation also touches upon the war years and Holt's eventual employment at WED Enterprises, where he spent nearly the last half of his Disney tenure sculpting models for the theme parks. To conclude this post, here are more images of various other Disney hologram postcards created by Harry Holt and Ron Dias. 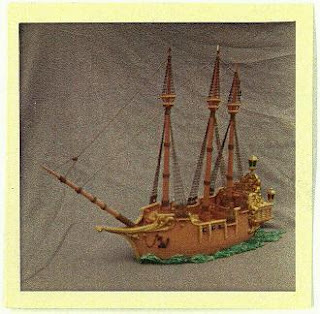 Thank you Ron for sharing these lost treasures! Thank you so much for this post. I have a very similar drawing from our time at WDW in late 1989-- about a month after yours. My wife and I had the privilege of sitting with Mr. Holt as he personalized our sketch, and it was fascinating to watch this elderly man add so much with just a few pencil strokes. We just recently found the sketch in our basement, and I too Googled Harry Hoth-- but I was grateful to find your post. Thanks!